Report Junk – he’s throwing! So last night I decided to play some Overwatch to cap off my Sunday of playing games. 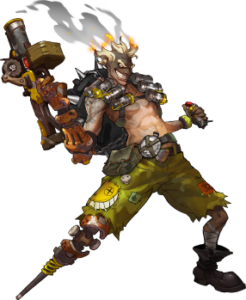 My favorite character right now is Junkrat. He’s wily, resourceful, and puts out a ton of damage. The only problem is that he’s unreliable in the hands of a lot of players. 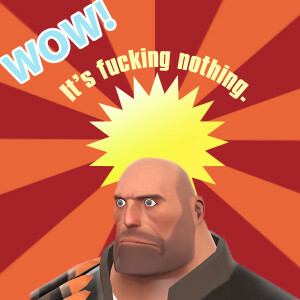 In my hands, however – a player who has more than 800 hours of Demoman under his belt – he’s quite an appropriate tool to use in most cases. One of those cases was last night on Hanamura. We started out on defense. I held the upper-right with my traps and spammed grenades through the main choke. Even though the enemy had a Pharah (my direct counter) I don’t think I died to her even once. We ended holding the last point, giving us a score of 0-1, going into the second round. During our attack, we had a few problems to sort out with capturing the first point, but made short work of the enemy team once I took out their teleporter and their Rein cleaned up a few kills with the damage I was putting out from behind the enemy lines. From there we tried pushing into their last point. The enemy team had a Mei, which meant that once one of our teammates tried to push in, the Mei would wall them off and put us back to a 5v6 scenario. I was still getting kills, and often sneaking into their base and killing 1 or 2 people. I even got off an ultimate (RIP-Tire) and killed their Pharah and Mercy in one shot. We pushed in and got 1 tick on the capture point, but to no avail, the enemy team was spread out well enough, to where we couldn’t kill them all off. One thing I’ve learned about Overwatch and MOBA players, is that, if you aren’t playing “the meta” then people get really upset with you because they assume there is only one way to play (and win) matches. And since ranking up is the only thing that matters to some of these people, any element that poses a threat to them winning is a direct attack on them, to which they will berate you in voice or text chat. Posted on April 2, 2017 April 3, 2017 Categories UncategorizedLeave a comment on Report Junk – he’s throwing! Found this video via this TeamFortress.tv thread. You can subscribe to hl2mukkel’s videos here. I’ll miss some of my old posts. They were a sweet bunch. Alas, the Great Electron has taken them from us – never to be seen again. Raster Image Process in peace. Me : My VPS won’t boot from the console. Can you help me? Me : Will that destroy my data? Turns out they weren’t able to recover my data. Each reply from them took 7-20 hours to get back to me. I’m tired of mediocre service so I decided to leave. So here I am! Rocking the website on a new server. Here’s hoping this provider is better than my last! Welp, looks like m’servers crashed upon the shores of inadequate providers. Yar. That’s what I get for shilling out iron coins for “promised gold services”. All of my data was lost and I had to migrate my websites to another provider. I be blogging again! Posted on February 5, 2015 Categories UncategorizedLeave a comment on Ahoy matey!